Currently we are working on a new website. Whistle Basics is a unique and practical method and is suitable for both beginning and advanced musicians. It is also a useful tool for those who teach others to play the whistle. 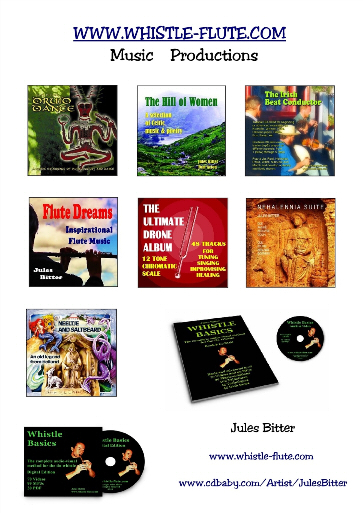 The folder Whistle Basics Book describes and visualizes the basics of traditional Irish whistle playing and gradually teaches you how to use 15 specific whistle ornaments/techniques in 45 Irish melodies. 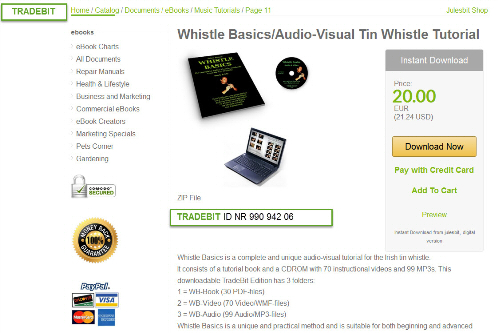 It has 116 pages, 104 illustrations, 99 music notations with tips, instructions and symbols how to play the whistle in a traditional Irish way. For those who cannot read music there is 102 tablatures too, a simplified music notation, and a special chapter on elementary music theory in relation to Irish traditional music. Visit the TRADEBIT page for more information on this great course!